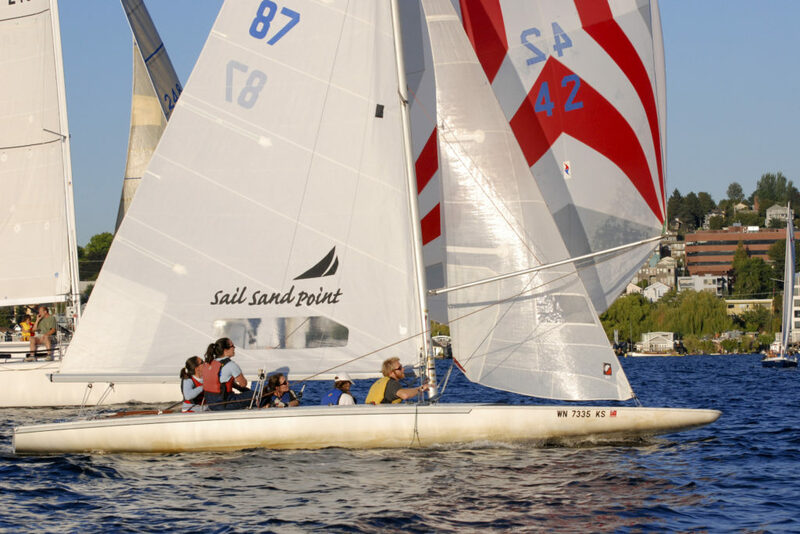 Sail Sand Point offers community events throughout the summer. Whether you are a regular at SSP, or this is your first time on the water, we invite you to join us during the summer for free boat rides and enjoy our side of the lake. Full Moon Sails are held from May – August on the Saturday closest to the full moon. We start around 8-8:30pm with a dessert potluck and aim to be on the water around 9. Volunteers will be skippering (or you can take a boat out on your own) RS Quests, Hobie Waves, FJ’s and keelboats, or you can come out and launch your own boat. Boat spaces are on a first come first serve basis so arriving early is recommended. Looking for a fun way to spend a summer evening? Join us at our annual Party on the Pier on the last Saturday in July and enjoy a lovely evening of food, drinks, music, and boat rides! This event is a kick off to our annual campaign. 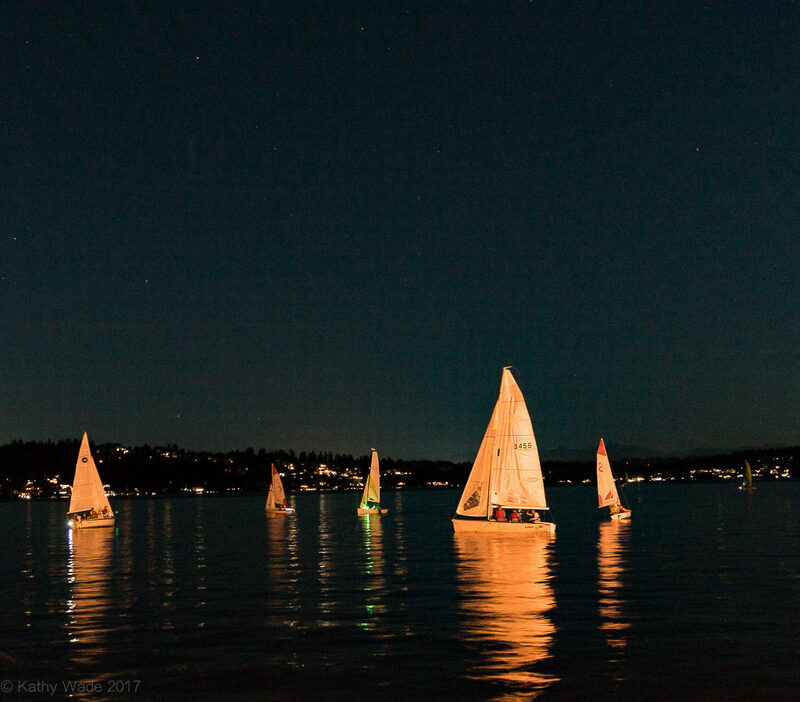 Every Friday night between Memorial Day and Labor day, SSP offers free Friday night e-scow sailing. Rides start at 6:00 pm and are first come, first serve. These rides are a great opportunity to sail a high performance boat with a skilled skipper. Be advised that this is a hands-on experience suited for adults and teens who have small boat sailing experience. Visit SSP in the spring to celebrate the beginning of the warm weather and learn about SSP offerings! With free boat rides, prizes, and a food truck, this event is a fantastic start to the boating season ahead. Join us to celebrate the end of the summer season and to recognize SSP’s fantastic boating community and fabulous volunteers. SSP grills burgers and attendees to bring a side to share, attendees reminisce about the summer, and the Volunteer of the Year is announced.